The Just Add Ink Design Team are starting 2017 with a blog hop! And it’s all about pop up & interactive cards. You’re going to love the ideas shared in this hop. I’ve chosen a style of pop up card that has been doing the rounds lately called a Twist & Pop card or a Pop Up Panel card. From the front it looks like a normal card but as you open it the middle jumps out to reveal a pop up centre panel. So cool. And like many ‘fancy’ cards, once you know how, they are super easy to make! I used the tutorial by Jan B and changed up the design to make it a Pokeball card for a friend of the Miss Papercrafts who loves Pokemon! I always find photographing fancy fold cards a challenge, so I made a video to show you how cool this style of card is! Pop up cards are always better in 3D! But here’s the photos anyway…. The Pokeball on the front is made from circle framelits. The font on the inside is Cameo cut. You can download the font here. You should definitely try this style of card if you haven’t already – it’s a winner! 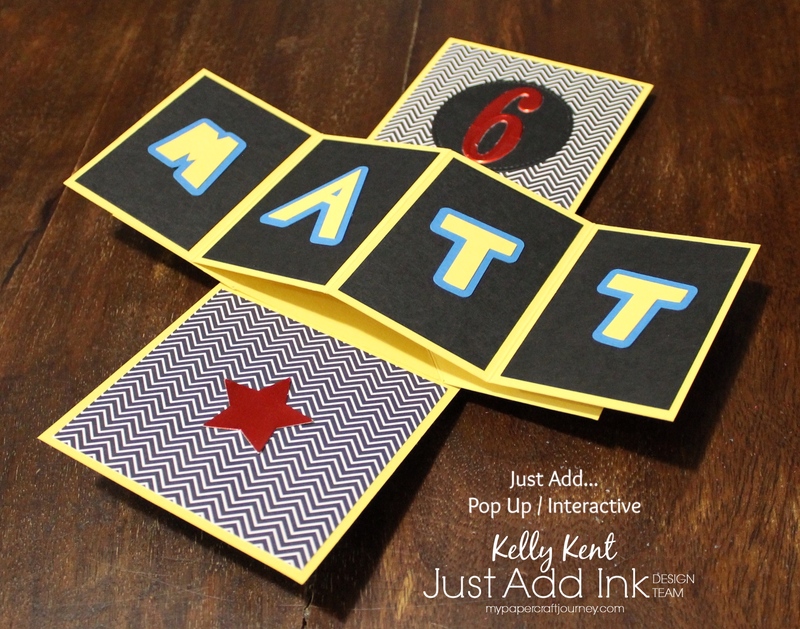 You’ll also want to keep hopping for more pop up & interactive card ideas. Next up on the Just Add Ink hop is Karren over in New Zealand! Please share your creations with us using the linky tool on the Just Add Ink blog. 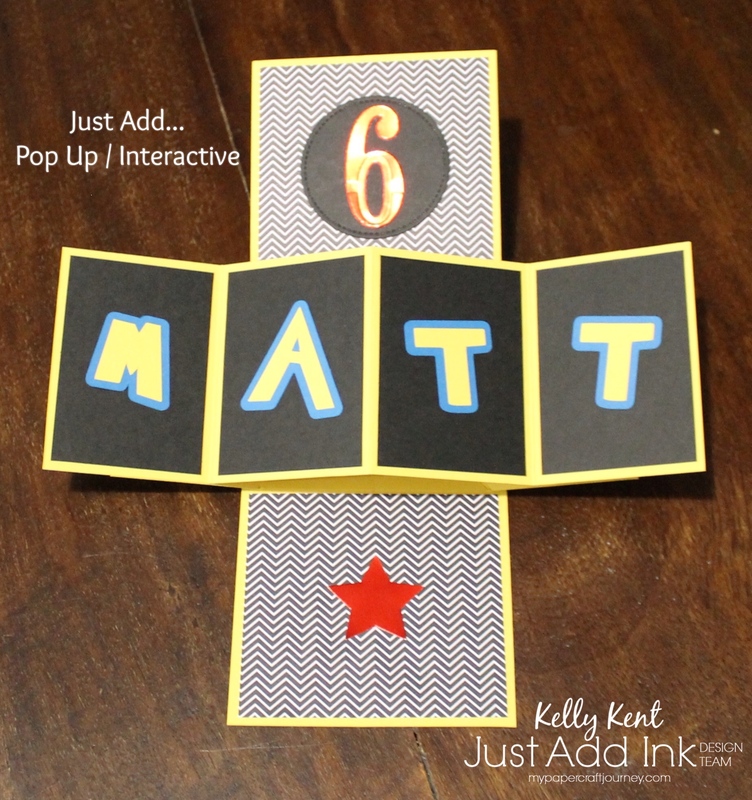 You can try one of the awesome cards shared on this hop, or share another style of pop up / interactive card. I’m always on the lookout for fabulous (but easy) design ideas! 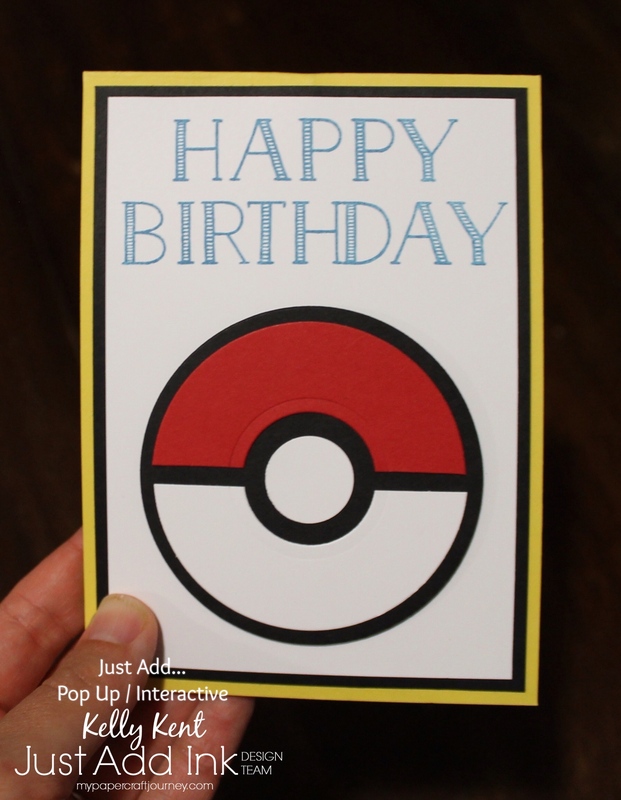 OMG my boys would totally go crazy for this card. Yet another Kelly Kent card to add to my list of cases 😉 It’s perfect!! Awesome, Kelly. Sure to be twisted & popped all day long once the lucky birthday boy receives it. Great card once again Kelly ! Those pop and twist cards are so fun ! What a great card for a young lad! I may have to CASE this, as my Mr 13 is still a mad Pokémon fan! 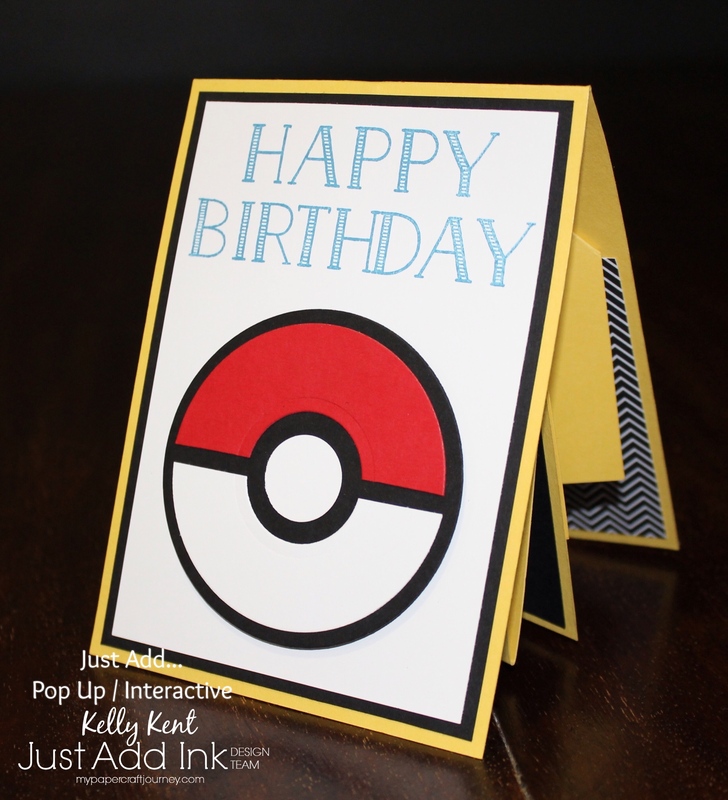 Love your Pokémon inspired card. This pop and twist card is on my to do list. Oh wow! That is fabulous! I’ve never seen a fold like that – so much fun!